On the heels of a divisive campaign, people are more aware than ever of the social and political groups that sit on different sides of the aisle, live in different parts of the country, and break bread with different cultural factions. By some measures, forces that are dividing America are getting worse. There were higher rates of poverty and income inequality in 2015 than the five years prior. These gaps are not only appearing on American’s bank statements—residential segregation by income has increased since the 1980s across the United States. And although economic residential segregation has overtaken racial residential segregation, neighborhoods still disproportionately sort by race. For anyone living through the past decade of innovations, like smart phones and social networking sites, these trendlines present a puzzling question: How could a world that is technically more connected than ever be so socially disconnected and divided? Or put differently, have disruptive technologies that are rapidly reshaping how we form and maintain networks brought us closer together or further apart? Across industries, disruptive innovations take products or services that start off costly, centralized, and requiring particular expertise and make them widely accessible, affordable, and foolproof. At first blush, social networking platforms, like Facebook or LinkedIn, appear to follow this pattern, at least among dedicated users, by radically expanding the number of friends and acquaintances in our digital Rolodexes. These technologies offer a vastly cheaper way to form and maintain ties by shrinking constraints historically posed by time and distance. But these new, low-cost connections may do little to disrupt troubling rates of economic, social, and residential segregation for a variety of reasons. First, although connections, or “friends,” may be proliferating on networking sites, research suggests that the lion’s share of these connections constitutes weak ties, not intimate, close connections. As evolutionary psychologist Robin Dunbar recently found, even people with upward of 1,000 “friends” on Facebook only consider a fraction of those connections to be actual friends—and they would only consider relying on a much smaller proportion for help. This confirms Dunbar’s earlier finding that the human brain can actually only handle about 150 friendships at one time. There may be limits, in other words, to how far our strong-tie personal networks can even be disrupted, no matter how cheap it becomes to form and maintain those networks. 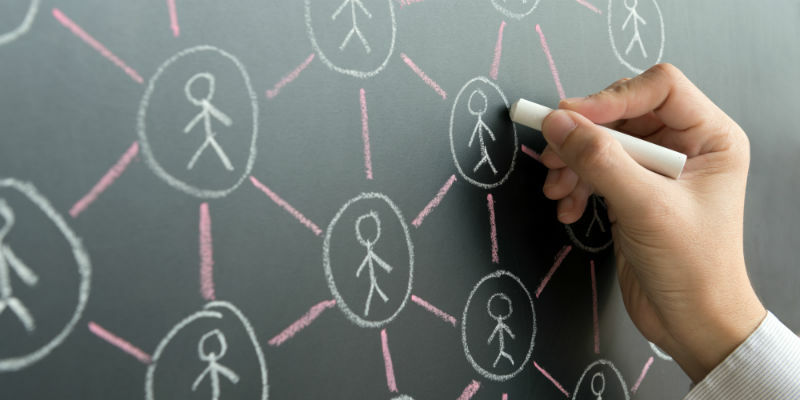 Social networking sites, however, have proved a powerful tool for disrupting the number of weak ties—sheer acquaintances—with whom we can maintain connections and efficiently communicate. Weak ties are not qualitatively “worse” than stronger ties (indeed sociologists often credit them with offering new information, like job opportunities, that may not be contained in our closer networks) but we are less likely to trust or turn to them for help. Theoretically, our weaker acquaintanceship networks that used to draw from our neighborhoods or states can now span continents. Social networking sites—alongside a range of advanced communications technologies—are effectively disrupting the stronghold that geography has long held on networks. A pricey telegram or long distance phone call no longer stands between people on different sides of the world. Data suggests that social networking sites do indeed allow individuals to maintain a “global village,” and that they are disruptive relative to more costly ways of keeping in touch across wide distances. But more often than not, users report taking advantage of these innovations to keep in touch with connections they already have, rather than forging new, fully virtual connections that live beyond their immediate community. Social networking sites allow us to keep acquaintances appraised of details of our personal and professional life through a cheap—albeit mass-distributed—“update.” Although we may not be in close contact with former “friends,” it has become less likely that they will leave our orbit entirely. As such, social networking platforms appear to be disrupting the decay rates of our existing friendships across geography and time, rather than seeding new friendships beyond geographic boundaries. To summarize: social networking technologies have certainly disrupted how we maintain connections—and the number of geographically diverse weaker connections we can maintain at once. There is less evidence, however, that they have disrupted how we form connections in the first place or with whom. In other words, the composition of our networks—particularly our personal, strong-tie networks—is not getting disrupted. Our networks are not more diverse simply because we have tools that could defy rigid social and geographic boundaries. Rather, new tools have simply made it more frictionless to forge and maintain connections along the dimensions we would in our analog worlds. These findings are hardly surprising to students of sociology and psychology. Homophily—the tendency for similarity to breed connection—tends to shape networks. On average, people self-sort into networks that resemble them on the basis of race, age, religion, education, occupation, and gender, in that order. Social media sites—as the latest communications tools at our disposal—appear to be amplifying these effects of homophily. They make it cheaper to maintain ties online along the dimensions people choose to sort themselves by offline. Little in their design encourages the opposite. It’s not surprising then that the past week has seen a slew of criticism surrounding the role that social media in fact plays in further polarizing people and deepening political divisions. Could social media take a different course to bridge rather than amplify differences? Disruptive innovations evolve along the parameters that society—by policy, preference, and design—choose. If we want to disrupt segregated networks, then we’ll need more than technology tools that simply make it cheaper to forge and maintain connections. We’ll need institutions and entrepreneurs that harness the disruptive potential of social networking to seed new types of connections that defy the stubborn categories that divide us. Indeed, with technology we may have one of the most powerful tools to mitigate the salience of categories, like race or religion, while elevating other dimensions—like interests, experiences, or tastes—that could bring seemingly unlike people closer together. But creating more opportunities for this to happen will be a matter of deliberate design. Otherwise, technology may just pull us further apart.